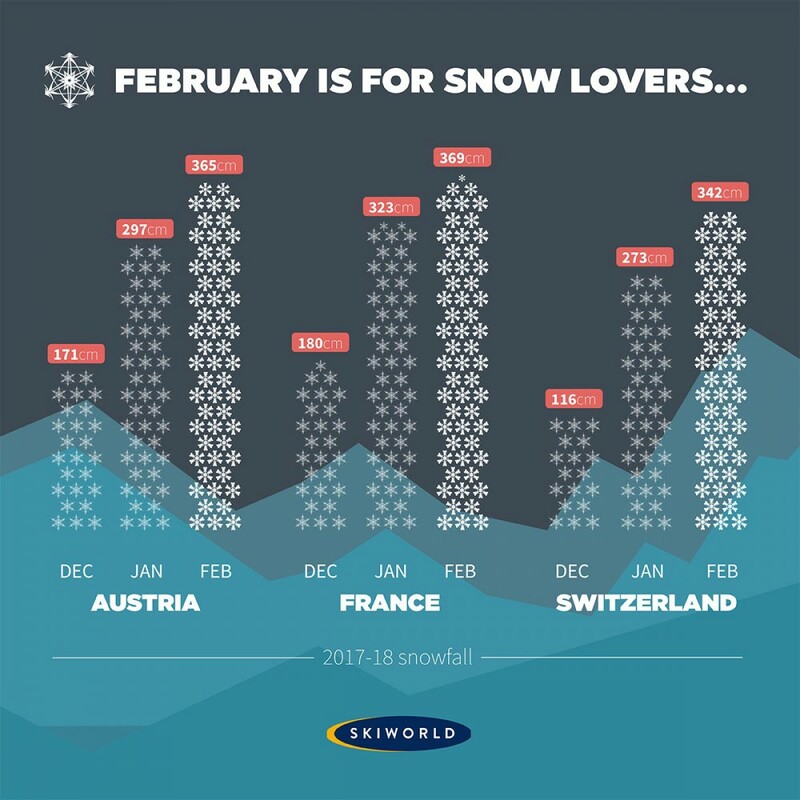 February is historically one of the most snow-rich times of the season - make your 2020 ski holiday a February break and you stand a great chance of getting some great ski conditions. And thanks to these amazing February ski deals, you can save a bundle too! Our Ski-All-In deals are the best way to make a saving on a February holiday. We give huge discounts for booking everything you need for your holiday at one time - prices below include travel, chalet accommodation with 5 days of catering, lift pass and silver lever ski and boot hire. Learn more about all inclusive ski holidays here. Check out our Guide to February Ski Holidays for all the best tips on finding the dream February ski holiday. Click on our infographic below to see the snow from last season.